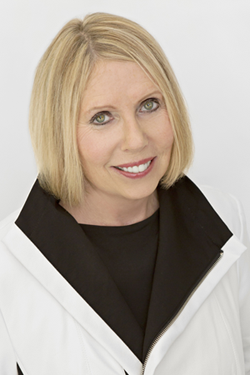 Julia Bivins is defined by personal integrity, her professional work philosophy and a deep business acumen in how she approaches each client and their real estate goals. Experience counts. Results matter. Whether working with first-time buyers, savvy investors, families searching for the right school district, individuals searching for the perfect loft in a trendy neighborhood, or downsizers wanting to be close to where the action is, the human process is constant: To listen closely, to speak honestly, to educate generously, and to negotiate intelligently on behalf of her client’s success. These are traits that make Julia Bivins stand out with her clients. Julia understands that today’s real estate prices command sophisticated and meticulous attention to every single detail when dealing with the largest financial purchase in a person’s life. For most people, is also a big part of their financial legacy. When working with buyers, Julia helps them navigate neighborhoods and market values, and provides buyers informational tools to be the architects of their own success when crafting a successful offer. When working with Sellers, Julia’s premier presentation and precision pricing strategies ensure maximum market exposure to qualified buyers for a successful seller results. By joining Sotheby’s International Realty, Julia is pleased to bring her twenty+ years of professional real estate expertise to exponentially enhance international networking opportunities to the advantage of her real estate clients. Julia’s clients are thrilled. Julia’s clients soon discover that luxury is not just about price — it’s also about the personal attention throughout the buying and selling process that Julia delivers. With a designer’s approach to home enhancement projects, and a home owner’s approach for value, Julia Bivins brings all of her experiences to every real estate transaction toward her client’s success.